When you're vacationing abroad, few things pass the time between layovers and other delays better than firing up your favorite streaming service. But, doing so overseas can be problematic, as strict content laws and online threats can not only deny you access but also compromise your privacy. 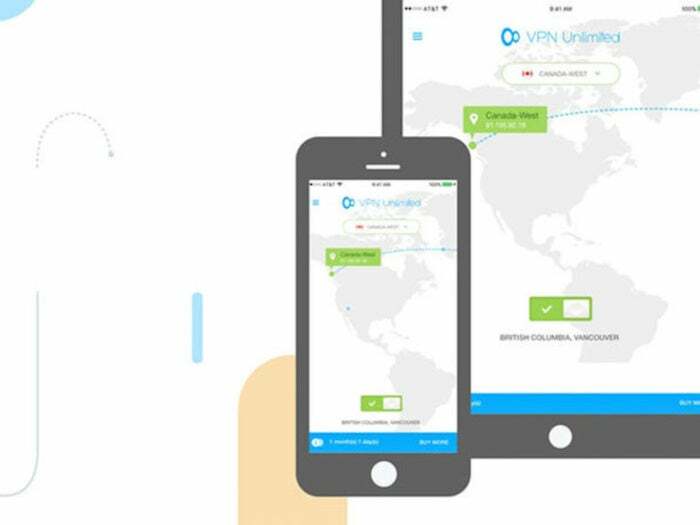 Going online without a VPN is ill-advised, but with VPN Unlimited, you can secure your devices while enjoying unfettered content streaming for as low as $29.99. VPN Unlimited by KeepSolid offers a wide range of features to ensure your data is secure while accessing public networks. All traffic is encrypted and sent to one of over 400 servers worldwide across more than 70 locations. This masks your IP address and makes your device appear to be accessing the web from a different location, bypassing region-locked content filters and allowing you to use streaming services like Netflix or Hulu. As the name suggests, VPN Unlimited lets you utilize unlimited bandwidth and high-speed connectivity for a better browsing experience. With VPN Unlimited, you can choose a variety of protocols to surf the web with, such as OpenVPN, IKEv2, or KeepSolid Wise. Should you encounter an error or have a question about the service, KeepSolid also offers users dedicated 24/7 customer support. KeepSolid offers numerous VPN Unlimited subscription models. For example, with a 3-year subscription, you can secure up to 5 devices for $29.99 (76% off). You can also buy lifetime subscriptions for 5 devices, 10 devices, 25 devices, or a staggering 100 devices for $39.99 (92% off), $55.99 (89% off), $95.99 (85% off), and $199.99 (92% off) respectively.